The lesser known but long-fighting Satyarthi is a trailblazer for children's rights; Malala is the next generation. 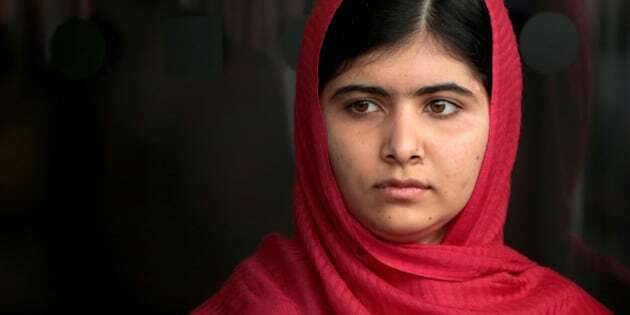 She is the youngest person to receive the Nobel Peace Prize, and at 17, the first teen. This is a profound and long-overdue recognition for the role of youth in changing our world for the better. Almost two decades ago, long before the ubiquity of the search engine, the only article about child labour at my tiny local library was a piece about Kailash Satyarthi. The activist had been unjustly arrested, accused of "kidnapping" the very child slaves he had been freeing in India. I showed the photocopied article to classmates, who agreed something must be done. We launched a petition for Satyarthi's release. We were determined that all of our signatories -- 3,000 in total, signed in ink before the advent of the viral campaign, pleaded for at community centres and on doorsteps -- would be under the age of 18. Copies were sent to the governments of Canada and India. In shoeboxes. After Satyarthi's release, we became pen pals. When he visited Canada later, he called the children's petition heartwarming, and said it was "the most power action taken on my behalf." He was touched that so many children stood up for him. Satyarthi's Nobel Peace Prize, announced last week, is now a global acknowledgement that peace cannot be achieved without recognizing the rights of children. Satyarthi was named joint recipient of the Peace Prize, along with fellow child rights activist Malala Yousafzai. I've had the honour to witness the fearless work of both of this year's Peace Prize recipients firsthand. At 12, I travelled to South Asia on a fact-finding mission with Free The Children, the fledgling charity I'd started with 11 classmates. During my trip, in a remote village outside of Varanasi, Satyarthi kicked down the doors of a carpet factory, freeing 22 children from bonded labour. The boys emerged from the dark, blinking out the sun's glare. I remember their raspy breathing and coughing to clear the wool dust from their lungs; their tiny hands blistered and pitted from skin infections left untreated. Many bore scars from punishments, a gash on the head for falling asleep at the loom or crying out for mom. "We are free?" the children said, at first as a question -- and then a statement: "We are free!" All of the boys had been lured from the same village with false promises to their parents about paid work learning a trade. I accompanied Satyarthi when he took them home. We brought each boy, in turn, to his doorstep. Satyarthi must have seemed like a messenger from heaven, bringing children back into the arms of their weeping mothers. A few days later, I stayed with Satyarthi in Delhi where we prepped for a joint press conference to raise global awareness of child labour. His home was far too small for himself, his Great Dane, Tiger, his two children, the frenzy of the impending event, and me. His daughter Asmita was 10 at the time. The two of us stayed awake all night on the eve of the conference, anxiously getting ready to face the two dozen journalists and TV crews that would witness testimonies from two previously liberated children, Satyarthi, and myself. Malala's story, of her campaign for the rights of girls to get an education that made her a target for the Taliban, is already well-known around the world. This past summer, I welcomed this remarkable young woman and her family to our development projects in Kenya. It was Malala's first trip to Africa. We all picked up shovels and helped build Oleleshwa All-Girls' Secondary School, a joint project of the Malala Fund and Free The Children. It puts children's rights in the foreground of the global agenda, stacked against the weighty issues of climate change or conflict in the Middle East. And, it signifies that children are more than passive recipients of aid; they can speak up for their own rights.